After 25 years at the helm of the University of Texas at El Paso, Diana Natalicio sees no end to her work in sight. Instead, she has recently taken on a bigger role in the national conversation about higher education. EL PASO — Days after Diana Natalicio was named the first female president of the University of Texas at El Paso in 1988, a local newspaper ran an illustration of the 48-year-old as Wonder Woman. In many respects, as she begins her 26th year at the helm — the longest tenure at the head of a Texas public university among current presidents — that depiction remains apt. Under Natalicio’s leadership, UTEP’s budget has grown from about $65 million to roughly $400 million, and research expenditures are up from $6 million to about $76 million. Graduate program offerings have increased from one to 19, with more in the works. Total enrollment has grown to about 23,000 from less than 15,000 students. This month, the TIAA-CREF Institute, a research organization for colleges and universities, awarded Natalicio the Theodore M. Hesburgh Award for Leadership Excellence, which is given to a university leader who represents the spirit of the former University of Notre Dame president. 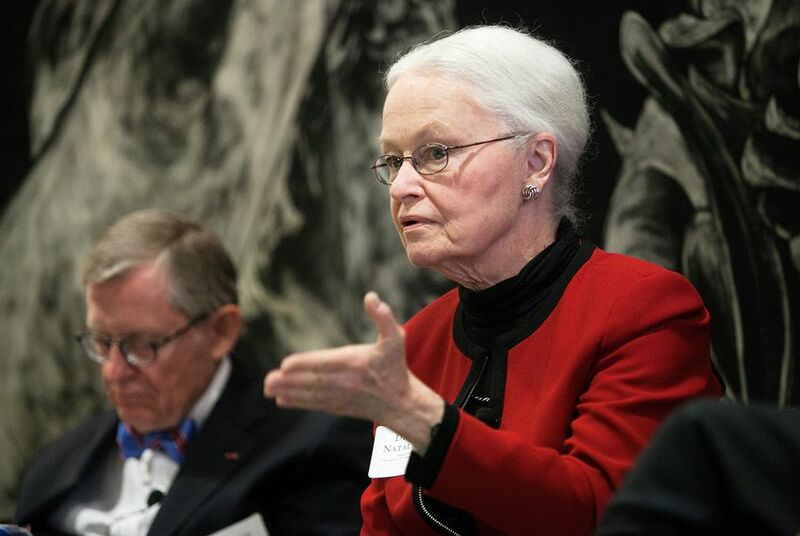 Natalicio also began a one-year term as chairwoman of the American Council on Education, a national higher education advocacy and research group. She hopes that the role will allow her to highlight the work of large public institutions with underserved populations. She began her UTEP career in 1971 as an assistant professor of linguistics. The university’s first former faculty member to become president, she also served as chairwoman of the modern languages department, dean of the college of liberal arts and vice president for academic affairs. Despite the national plaudits, institutions like UTEP still face struggles at home. In the 2011 legislative session, UTEP met the requirements to tap the state’s Competitive Knowledge Fund, an extra pot of money that only a small group of institutions can access. But the university did not get access from lawmakers. “To me, that issue was too reminiscent of when we were told we could only be a single doctoral degree granting institution,” said Natalicio, who is still working to gain access to the fund. Natalicio’s tenure has also been marked by questions surrounding UTEP’s low graduation rates. Currently, 13 percent of UTEP undergraduate students graduate in four years, up from 2.6 percent in 1999, according to the Texas Higher Education Coordinating Board. Natalicio has garnered attention for openly rejecting the metric and attempting to forge a definition of success that she feels is better tailored for El Paso’s low-income, minority population. Natalicio noted that the total number of degrees awarded annually by UTEP has grown significantly. Last year, the total was more than 4,300, up from less than 2,200 a decade ago. University of Texas System Chancellor Francisco Cigarroa said that no single measurement defines the success of an institution, and he praised Natalicio’s quarter-century on the job. *An earlier version of this story incorrectly described the TIAA-CREF Institute as a financial services provider for colleges and universities.